Be sure and attend Family Fun Day at the Marbletown Schoolhouse as we close out the season this Saturday, Sept. 26th, from 1:00 - 3:00 p.m. 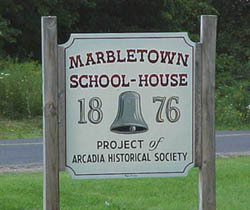 Whether you have been there before or have just driven by many times, this is a great opportunity to stop by the Schoolhouse, on the corner of Miller & Marbletown Rds. 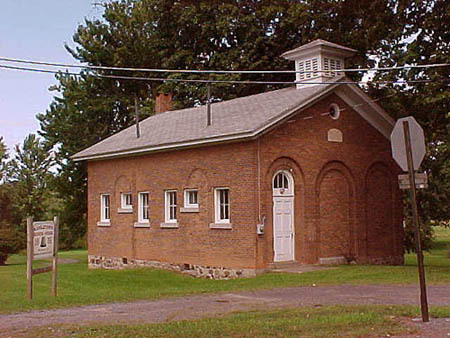 Step back in time and see what a schoolhouse was like a century ago. Docents will be there to give tours. Outside there will be old-fashioned games for children, fresh produce and home-baked pies for sale, apples and refreshments for everyone. Free admission! Directions from Newark: take Rt. 88-S, turn onto Silver Hill Rd. which will take you to the schoolhouse. For info: call the N-AHS Museum, 315-331-6409. 0 Comments to "Family Fun Day in Marbletown"